There are concerns that launch of Teva’s migraine drug may be delayed because of issues uncovered by the FDA at a manufacturing plant run by South Korea’s Celltrion. Earlier this week shares in the Israel-based pharma fell on the New York stock exchange after it emerged that the US regulator continues to have concerns about the production facility for the active ingredient in Ajovy, fremenezumab. 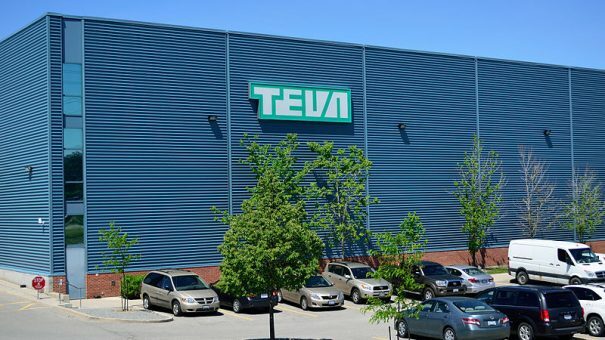 Teva had initially hoped to receive approval for Ajovy by June but concerns raised by the FDA in February over the manufacturing facility at Teva’s partner in South Korea delayed approval. According to reports, Teva said it is confident that the quality control issues at the plant in Incheon City will be overcome. $TEVA reacts to @CelltrionDream's statement on receipt of a Form 483 from FDA post manuf inspection, saying #fremanezumab remains on track for Sept. 16 PDUFA date. FDA observations are "not unusual" and should not impact the NDA. But there are concerns that the FDA could reject the drug during a review due to conclude in September, not because of any issues with the clinical data supporting its filing, but because of the quality control issues highlighted in an inspection. The FDA recently posted findings of inspections carried out this year, which raised concerns about management of glass vial breakage in product filling operations, training procedures for quality control staff, and maintenance procedures for quality control equipment. Teva needs a smooth launch for Ajovy, a calcitonin gene-related peptide (CGRP) class drug that is tipped for blockbuster level sales – it needs new revenues as it is heavily in debt following its $39 billion acquisition of Allergan’s generics business in 2016. Novartis and Amgen have already got the first CGRP drug on the market in the US and Europe, while the FDA is due to make decision Eli Lilly’s CGRP Emgality (galcanezumab) in the third quarter. Alder BioPharmaceuticals is also developing a fourth CGRP, eptinezumab, although if approved this will be administered in hospitals and clinics instead of by the patients themselves. Allergan is developing an oral CGRP, ubrogepant, and reported study findings late last month that identified patient groups in which the drug would be most likely to work. Allergan’s Botox (onabotulinumtoxinA) is also approved for treatment of migraine – thanks to its ability to block certain chemical signals in the nervous system, it also has a painkilling effect in people affected by the disease.